Over my four years of high school I generated quite a few insults from my friends for being a "hipster." To them, my music taste, band t-shirts, and other characteristics seemed to embody the bizarre fad our society has today comprised of bearded men and women trying to look like Zooey Deschanel. Their critiques were fair to a point I suppose. My music taste was relatively obscure. However, there's one individual, who although he started out in hipster esque bands like The Format and, before they were famous, fun., I continue to listen to as he has generated stardom. That individual is Nate Ruess. Recently, Ruess announced a solo career amidst what seems to be an apparent hiatus for the trio that comprised the band fun.. 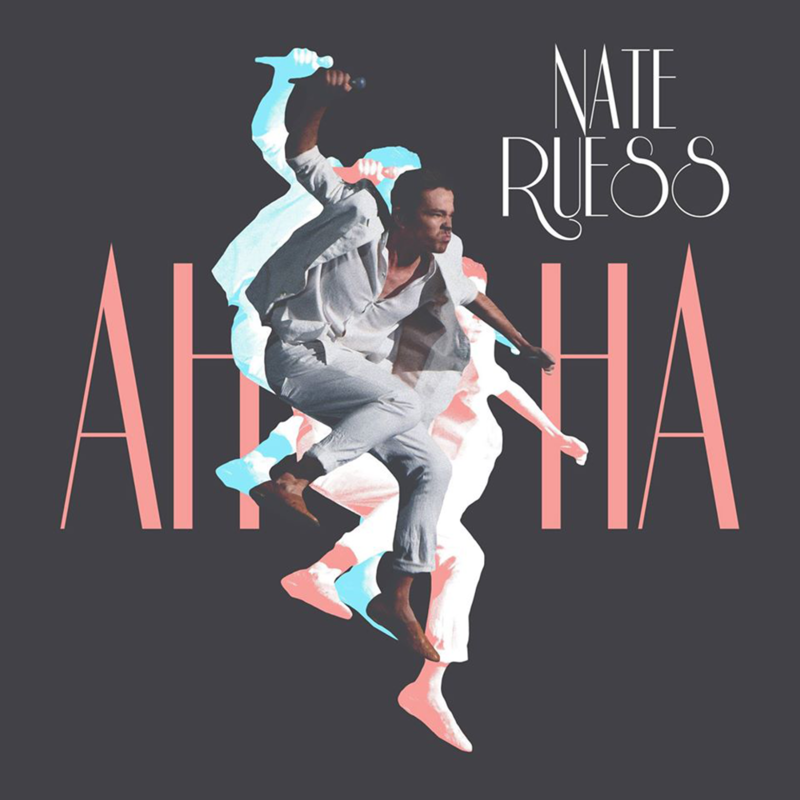 Even more recently, Ruess released a single entitled AhHA. This song has really been speaking to me the past few weeks so I decided I'd talk a little bit about it. Anyone who is familiar with the music of Ruess knows he can at times critique God, perhaps most notably in fun's song "One Foot." It would seem that Ruess has had a bitter experience with God or people he associates with that reality "AhHa" seems to be a song about finding salvation through music, freedom through song, and not holding back anymore. I find all those things incredibly compelling. The beginning of the song starts out in frantic disarray (I'll post all the lyrics at the bottom). Ruess narrates through what seems to be a panic attack wondering what he has done. After recent success, people have started to ask questions about him and give him suggestions and all Ruess can think is where anyone was before his success. From there, a sample of fun's song "Some Nights" comes in hinting at him distancing himself from the naysayers. But then comes the reoccurring line that expresses hope throughout the song, "Oh lord, I feel alive. I've gone and saved my soul. If all that you read is everything you believe then let go, then let go, then let go." This line is what I want to analyze. I think the critique it expresses is what sparks a lot of hard feelings toward people of the Christian faith, and I think rightly so. The typical "read the Bible to get your answers and encounter hope and freedom" way of traditional Christianity doesn't satisfy people. If all that we read is everything we believe, then we might as well let go of our faith because it's not personal whatsoever. It becomes just another byproduct of an ancient text. Ruess talks about saving his soul through music. How when he creates a song or is performing a song, he is free. How those acts have "saved his soul." The reality of God is not strictly found within the bounds of a book. The insistent spiritual reality of God is found in the beauty of finding something that first gives life to us and then yields life for the community we influence. The Bible is a story of human interaction with the divine. It is the story of specific individuals and how they perceive and encounter God. It is not a story that tells us all that the divine is or a story that gives us where we can and cannot locate divinity. If we try and use solely scripture as the basis for how the reality of a divine being interacts with us personally, we might as well let go of that faith because it wont yield anything life giving and personal. Ruess addresses his mother later in the song, talking about how he always felt held back and how that took him to a very dark place. But after some thinking and breaking free, he realized he was capable of releasing what he coins "this grand romantic in me." What a beautiful thought. A lot of people feel like their religion puts strict boundaries on what they can and cannot attribute to being a spiritual reality. But the beautiful message of the reality of Christ is actually completely the opposite. Christ is a cosmic reality about what the divine is up to, not the last name of Jesus. The divine is no longer something we try and place on things, but it's a pulsating insistence beckoning and already present everywhere. We just need to become awake to it. Like Ruess, in order to actually encounter life change, to really actually experience beauty and freedom in life, individuals need to rid of an idea of God that's found through pages. They need to find where God is alive for them personally. Where do you find freedom? Where do you feel boundless? If the answer is a place that can bring hope and spread love to others, like Ruess's music, then pursue it. Every encounter or interaction with God is metaphoric in nature. A metaphor is trying to unearth a story beyond a simple reality. Try and uncover what that is for you and spread it so others can potentially find hope in it as well. Oh no, what have I begun? Where was anyone at the start of this thing?